The Internet of Things and Your Small Business - J. Zollo & Associates, Inc.
Small businesses can benefit from the Internet of Things by improving their bottom line: reducing operating costs, increasing productivity, and expanding into new markets or developing new product offerings. So, what exactly is the Internet of Things? It may seem like a notion thought up in a sci-fi novel, but it’s a reality today and can help your small business. 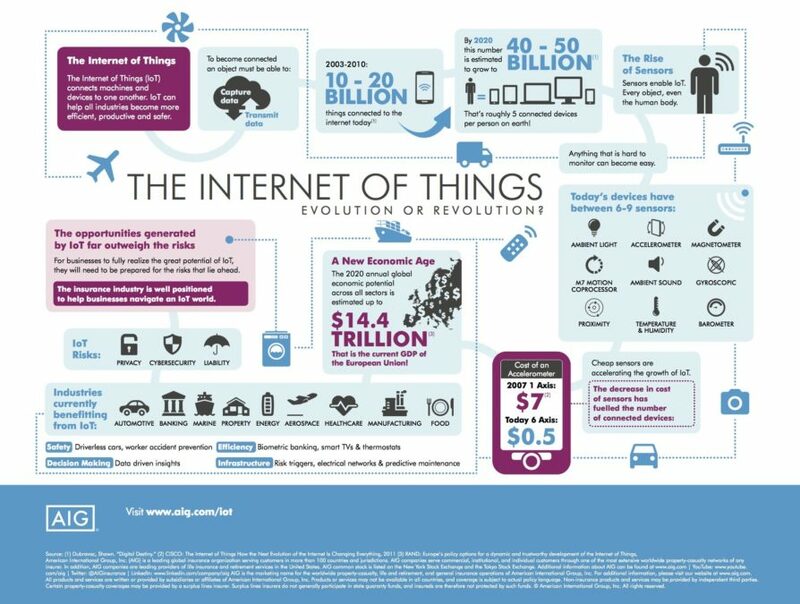 The Internet of Things is a system of interrelated objects that are able to collect and exchange data using embedded sensors. In the IoT, a “thing” could include smart thermostats, a car with built-in sensors to alert the driver, or even a person with a heart monitor implant. Devices like the Amazon Echo have led to the creation of smart homes. Other examples include wearables, like the Apple Watch or Fitbit, and smart cities like Barcelona, which has implemented IoT initiatives to improve parking and environmental impact. The agricultural industry has started using biochip implants to collect data as well. Approximately 57% of small business think the IoT will have a significant effect on their bottom line, according to an AVG survey. What’s next for your business and the Internet of Things? You may already be more connected than you think. Across all industries, the mobile credit card reader that connects to smartphones and tablets has been a popular introduction to the IoT. From processing transactions easily, to keeping track of shipped products, and even technology to improve security and reduce hiring extra personnel, the IoT is here to help your business. For more on the economic potential of the IoT, see the infographic provided by insurance company AIG.